Sanjeeb Sircar - "His music is marked by depth of expression and an innovative approach"
Born into a musical family in 1957, Dr. Sanjeeb Sircar was taught singing by his mother and encouraged in music and to play musical instruments by his father. 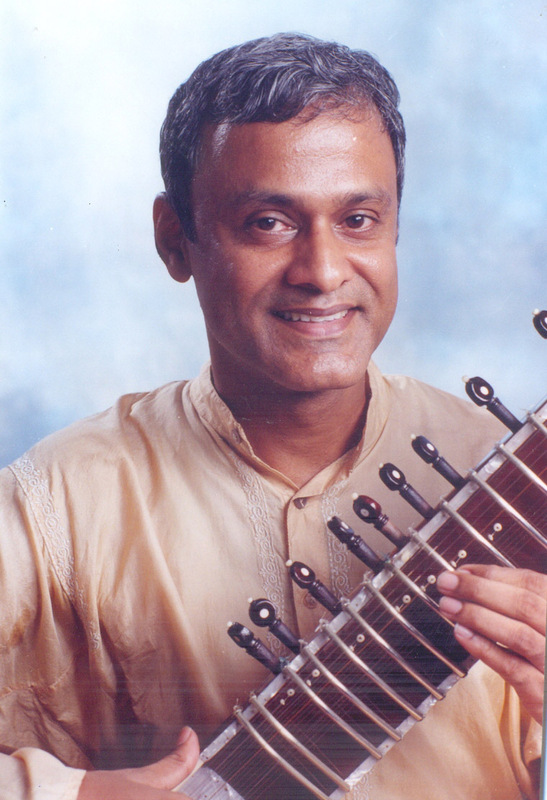 Indian Classical Sitar Music Concert performer / teacher, pioneer and innovator, Dr. Sanjeeb Sircar has a music career of more than forty years during which he has performed and taught music at India, Italy, England, USA, Nepal and Australia. He holds a master’s degree in Indian Music, from the Prayag Sangit Samiti, Allahabad, a diploma in Indian Music (Sitar), from the Banaras Hindu University, Varanasi, and an Honorary Doctorate from the University of Jerusalem, Chennai. The best of both the Vocal (Gayake) and Instrumental (Tantrikari) schools of music, reflect in his musical renderings. Prominent among his teachers are Grammy Award nominee, Ustad Shujaat Khan (son of the sitar legend-Ustad Vilayat Khan) belonging to the Imdaad-Khani-Itawah School / Gharana, from an unbroken family line of seven generations, and previously the late Pandit Banwari Lal (1912-2003) of Allahabad, of the Senia Gharana, the late Dr. Raj Bhan Singh of the Gwalior Gharana, and Dr. K.C. Gangrade, Ex. Head of the Music Department of Banaras Hindu University, Varanasi, and other senior musicians. He has also participated in lecture demonstrations, workshops, and performances of numerous eminent scholars and musicologists including Sitar Maestro, Pandit Ravi Shankar, over the years. Apart from the Indian Classical Sitar, he sings and plays a number of different styles of music including Christian, Western / European Classical, Choir, Fusion, Jazz, Folk, Pop, Rock, Experimental, Country and Western, etc. and musical instruments including the Guitar, Piano / Keyboards, Bass and Tabla. A pioneer in using the Sitar in Jazz, Christian, Gospel, and other world music forms for more than thirty five years, he maintains the essence, purity, and skill of his Indian Classical Music without interpolations while trying to evolve new, meaningful, creative expressions with other genres of music. In 2008 he was awarded the Best International Ambient Male Artist, of the Toronto Exclusive Magazine International Awards and an Award of Excellence by the India World Cultural Forum in 2014. His recordings are regularly featured over select TV and Radio broadcasts internationally. 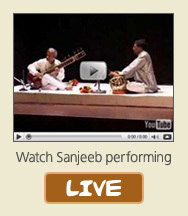 The contents of this Website belongs to Sanjeeb Sircar. Copyright reserved. © www.sanjeebsircar.com 2011-15 | Site designed by Naulak Web Design.